It was late March in 1989; a Saturday. 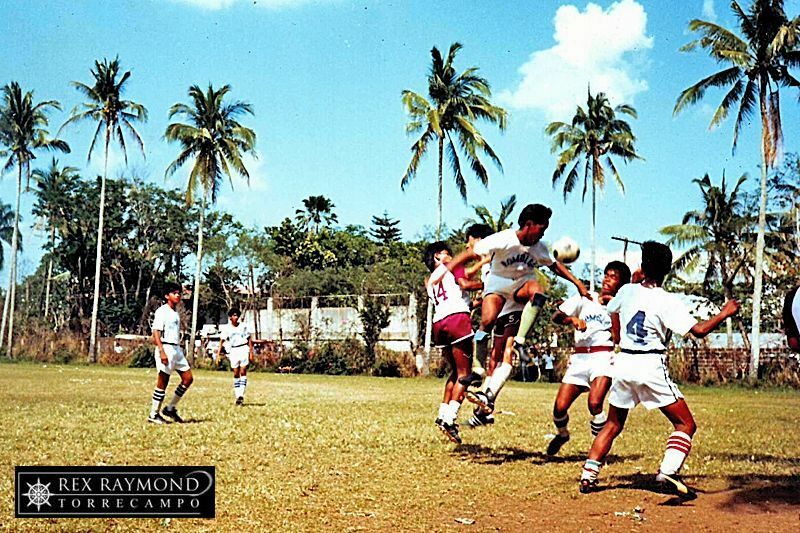 Early in the morning, my high school team warmed itself up for what would eventually be an extraordinary day by defeating Palawan, 3-nil, in the semi-final stage of what was then known as the STRAA. That victory earned the team the right to play Romblon just 30 minutes later in the final. We won that match as well by the same score; but since Romblon enjoyed a twice-to-beat advantage over us, a third match for the day was scheduled at 1:30 in the afternoon. We won that afternoon match, 2-1, to successfully defend the STRAA title that we won the year before in Calapan, Oriental Mindoro. The day was not over, though. As soon as the final whistle blew, I was shepherding most of the high school squad into a vehicle for a trip to the Rizal Memorial – and our fourth match of the day. It was the opening day of a Division II league in Metro Manila. For several years, my high school teams had enjoyed halcyon days of success not only in the province but the entire region as well. 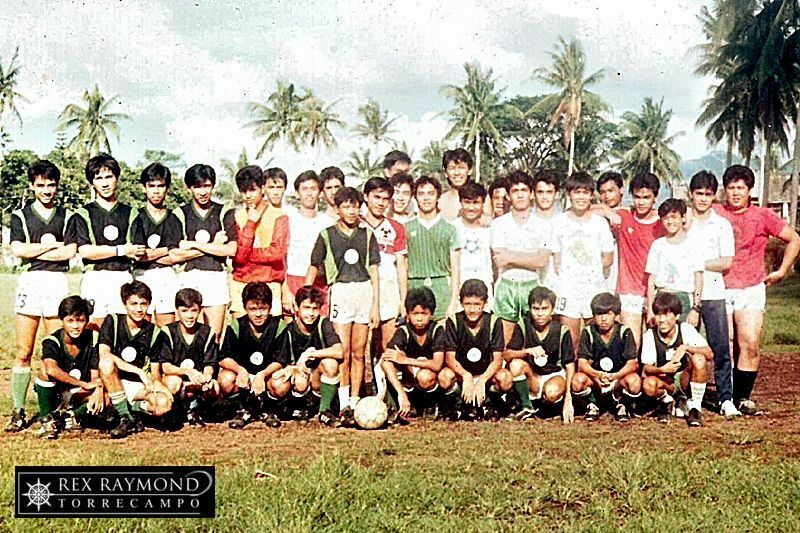 Many of our graduates were playing for colleges and universities in Metro Manila. I continued to be in communication with these boys even after their graduation. When we learned that a Division II tournament was accepting teams, we thought it appropriate to test ourselves outside of the region. It was basically an alumni team; although we included the more physically mature players from the powerful 1989 high school squad. There were also some players from DLSU-Manila who asked to join us; and since I was wary about utilizing teenagers in a men’s league, I was more than happy to accept them. We registered as La Salle United FC. We asked for support from the alumni association for our uniforms. In consideration of the heat and humidity in Metro Manila, we opted for a light green shirt with white bands down the sides – in the style of Aston Villa’s kit in those days – and white shorts. 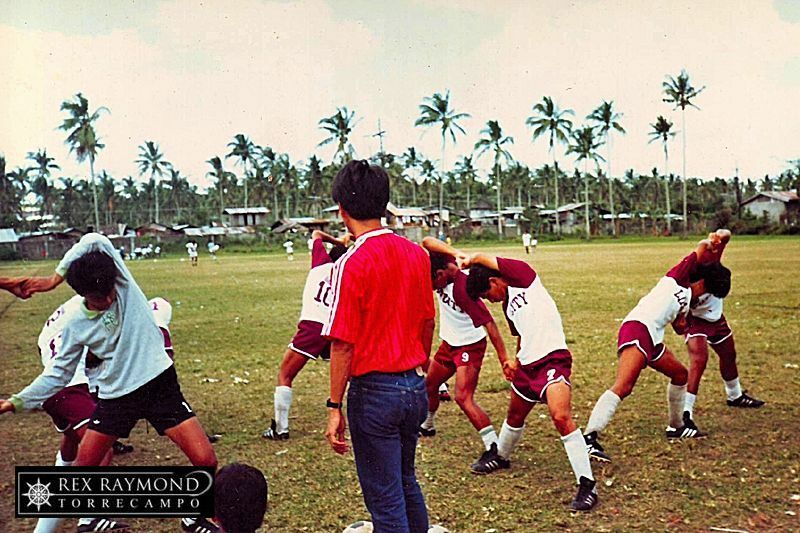 That Saturday in 1989, when my high school boys and I finally arrived at the Rizal Memorial, the purely alumni team was already up 5-2 over a team of UP alumni. I was spared from having to put in any of the high school boys for what would have been a torturous fourth match. That said, a few of the boys said they were still up for it and did not really mind. That explosive opening day result, however, was as good as the tournament got for us. We won one or two more; drew about the same; and lost more games than I care to remember. We finished mid-table; and considering that we were really just exploring what the whole to-do was all about, some might say that we did not do bad at all. However, we did not do well, either. The problem was never in the football. We already knew from that opening day win that we could compete. However, as the tournament progressed, many of the college players also enrolled in summer classes. Come Saturday, it was impossible to put up a full-strength team. We just never knew who would show up. It was the same story even with the high school players, particularly once summer vacation started. Although I was in the line-up, I was careful about putting myself in unless it was necessary. I was physically fit then; but not match-fit. The latter required also being right in the head. This took a run of matches to achieve; and I had been away from competitive football for several years. However, I had to come in to plug a hole somewhere on more than one occasion because a player had not shown up. In those days, I would have no problem playing anywhere in midfield or upfront. But sweeper? Yes, I did. The defensive lineup one weekend was so thin that I also had to use high school fullbacks on either side. Needless to say, training was also a problem. We did know that it would be. I suppose we were all confident that since everyone knew the system by heart, it was a simple matter of coming together during the weekend. Well, it ultimately turned out not to be that simple at all. Remember we had Manila-based players who did not come up through the high school teams. These players were enthusiastic; and to be fair, some of them would drive all the way to Lipa just to be able to train with us. They would even gamely join us in lomi houses during lunch break. However, there was just not enough time for them to fully bed in, understand the system and develop partnerships with the local players. Except for that opening match, we never did play with the sort of fluency that the high school team played each game. In fact, when one weekend most of the college players could not come, a starting eleven made up almost entirely of high school players played with the fluency and purpose that was missing before. We never tried again after that experiment. It exposed too many problems that we had no control of: training and player availability, among others. Our situation was alright for Sunday leagues, when weekend players just seek out exercise rather than competition. For a competitive league, though, it was far from ideal. In fact, it was not ideal at all! I knew that we would have to go – at the very least – semi-professional to be able to offer the players something that would bind them to the club and force them to meet obligations. But to speak out loud about something like a semi-professional squad was akin to admitting to a case of lunacy in those days. The year was 1989. Football’s time in this country would not arrive until after another 21 years had elapsed. What a pity because I had – in the eighties – some of the most gifted players that I ever worked with in three decades of football.